← Azzo’s Restaurant Voted “Best of Mother Lode” by Lodestar!!! This morning, I was having a conversation with a client about what is, in my opinion, one of the most iconic homes on the lake. I realized after the conversation that the topic would make a great blog post. Since I have essentially lived in the area my whole life, there are many homes over the years that have stood out for one reason or another. Sometimes it is a location, a style, or maybe just a feeling that makes a home jump out at me. Here are some that I feel best represent what Lake Tulloch is about (in random order). This was actually my first sale in real estate after returning home from college and starting my career in real estate. That fact may cause me to be biased, but it will forever be one of my favorite homes. The center lake location is awesome and I love how the main deck cantilevers over the water. 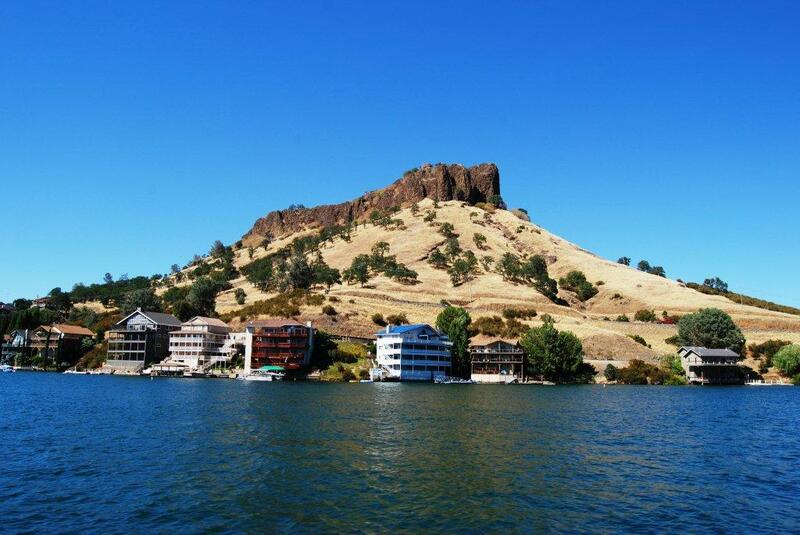 The Bluffs of Table Top Mountain have always made these homes stand out. The homes are all huge but are dwarfed by the enormous mountain behind them. 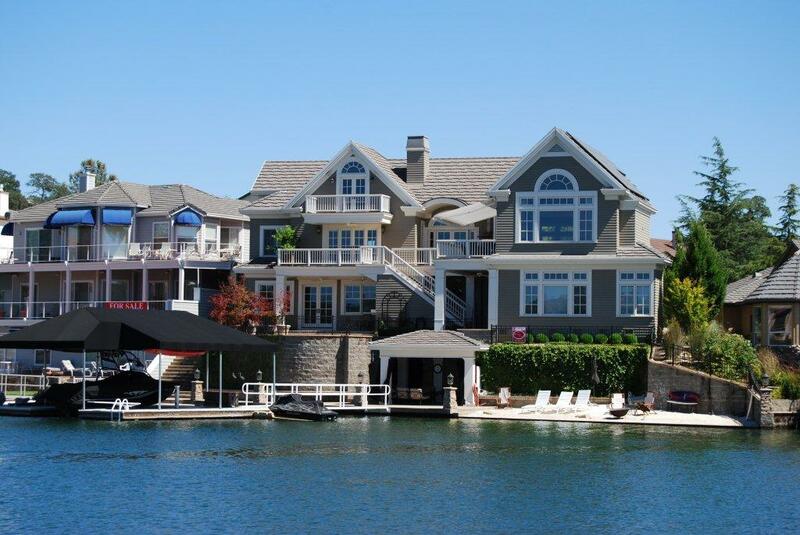 My favorite is the one with the elevator because it looks great from the lake and the street. Everyone knows this one. In the middle of summer when the golden grass surrounds the lake, you cannot miss the Mediterranean styling and green landscaping of this home sitting all by itself. Lake Tulloch Home near bridge. This home was once owned by Indy Racer Kevin Cogan. 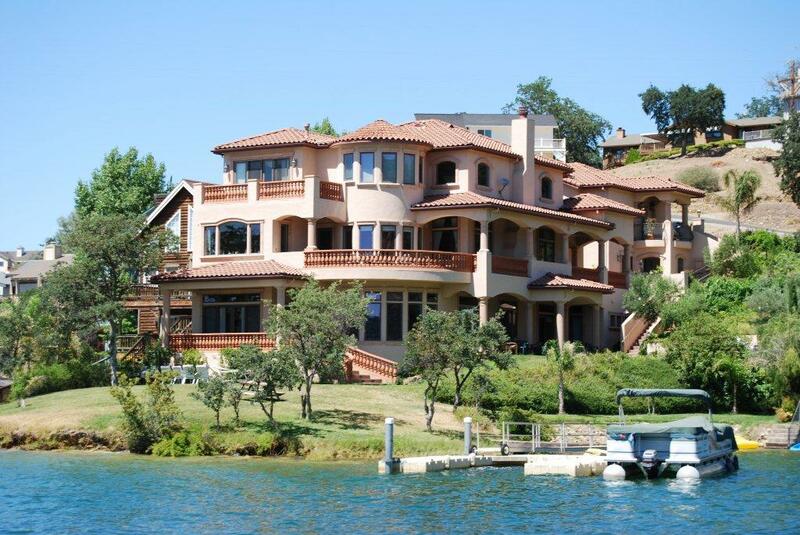 The location makes this home one of the most visible homes on the shores of Lake Tulloch. It was actually one of the first homes built on the lake. How can you beat that slide? What can you say about this home? 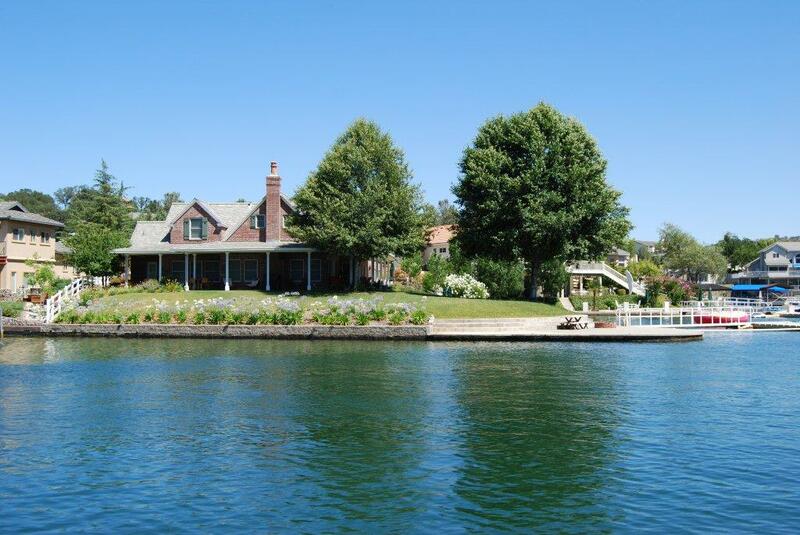 This home is enormous and sits near the center of Lake Tulloch. I think that the pure size of this home just jumps out at you. 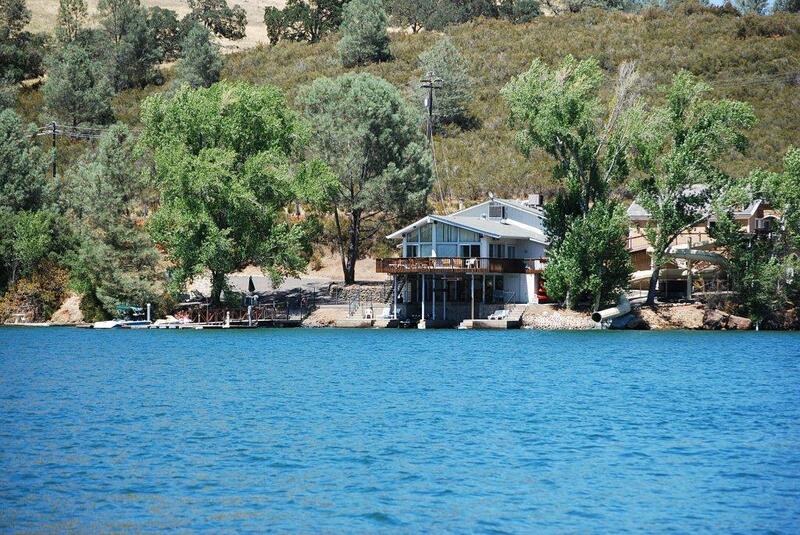 The "Brick House" on Lake Tulloch. This home located in Connor Estates is often referred to as the "Brick House". It almost sounds like that is a bad thing, but brick construction is definitely not the norm at Lake Tulloch so it really stands out for that feature. The brick, slate roof, and location work together to definitely make this an eye catcher. It is funny how homes pick up nicknames over the most random of things. 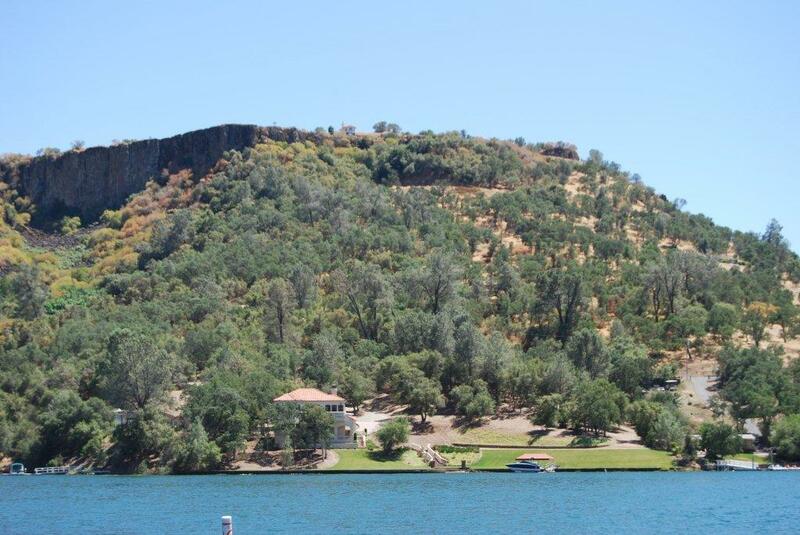 To anyone that knows Lake Tulloch, I could simply say, "The home with the Coke Machine" and they would instantly know what I am talking about. Never mind the sheer beauty of the design and construction of this home, it is well know for a trivial fact. Regardless of the nickname, this home will always be one of my favorites. In 1998, Peninsula Estates Subdivision went on sale. It included 46 waterfront home sites and most of the homes that were built over the past 13 years have been exceptional. This one stands out the most to me because of the beautiful design and finish. 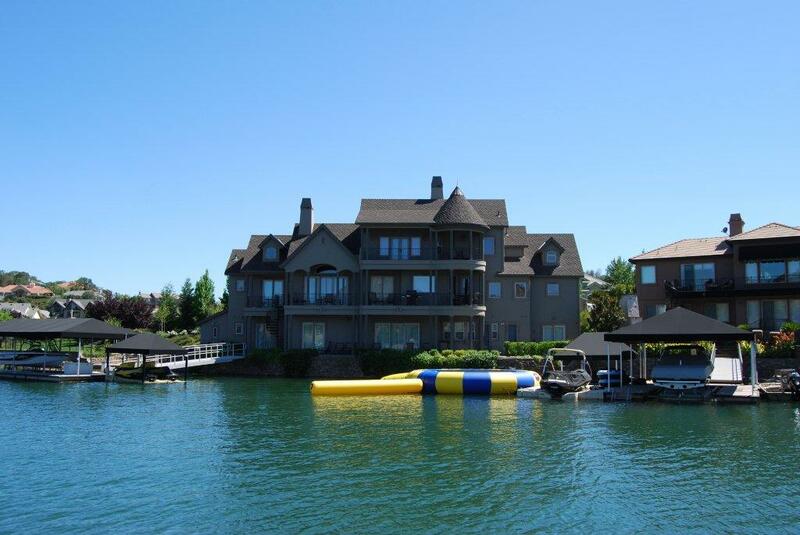 Strange enough, the front or street side is as amazing as the lakeside photo that you see here. What more could one dream of? 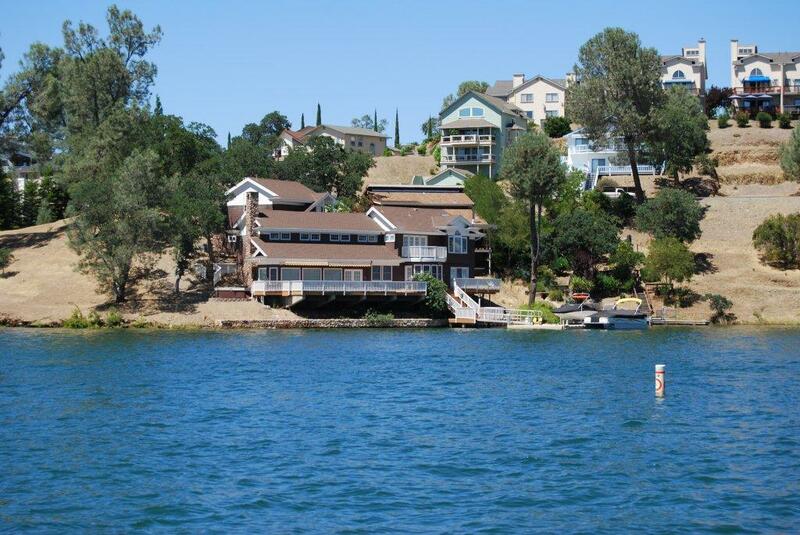 I could go on and on posting all day about my favorite homes on Lake Tulloch, but I will stop with these. Did I get the best? Which are your favorites? Why? This entry was posted in Lake Tulloch and tagged 95228, Aaron Stafford, Beautiful Lake Homes, Best Lake Homes, Black Jack Bluffs, Calaveras County, California, California Lake Homes, Connor Estates, Copperopolis, Copperopolis Town Square, golfing, Iconic Lake Homes, Lake Homes, Lake Tulloch, Lake Tulloch Real Estate, Peninsula Estates, Poker Flat Subdivision, real estate. Bookmark the permalink.